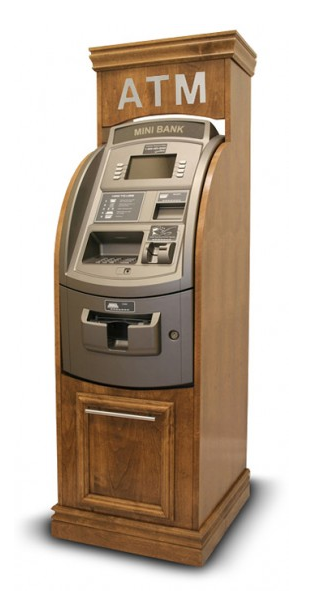 ATM wooden cabinets provide a sleek look to your ATM. Customers knowingly or unconsciously are drawn towards appealing, sophisticated and elegant ATM terminals. In your choice of color to match the location. 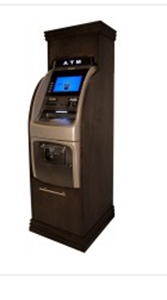 ATM wooden cabinets provide a sleek look to your ATMs. Customers knowingly or unconsciously are drawn towards appealing, sophisticated and elegant ATM terminals. It does instil confidence in the security of the ATM. In your choice of color to match the location, each wooden cabinet is designed and custom built to fit your ATM. ATM Trader builds within days and delivers in under 10 working days.